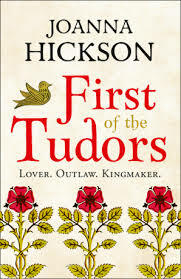 Joanna Hickson was born in England but spent her early childhood in Australia, returning at thirteen to visit her first castle and fall in love with medieval history. 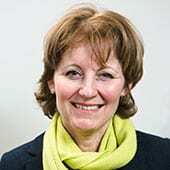 During a twenty-five year career at the BBC, presenting and producing News and Arts programmes for TV and Radio, Joanna also published a children’s historical novel, Rebellion at Orford Castle. 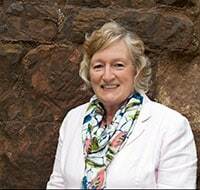 She now writes adult fiction full-time, indulging her passion for bringing the medieval past and its characters to life. Joanna warns that she spends much of her life in the fifteenth century and even her Wiltshire farmhouse home dates back to that period. She’ll betray her King to crown her son. When Edward of York takes back the English crown, the Wars of the Roses scatter the Lancastrian nobility and young Henry Tudor, with a strong claim to the throne, is forced into exile. Recently widowed and vulnerable, his mother, Lady Margaret Beaufort, forges an uncomfortable alliance with Edward’s queen, Elizabeth Woodville. Swearing an oath of allegiance to York, Margaret agrees to marry the king’s shrewdest courtier, Lord Stanley. But can she tread the precarious line between duty to her husband, loyalty to her son, and her obligation to God and the king? He seeks solace in his estates and in the arms of Jane Hywel, a young Welsh woman who offers him something more meaningful than a dynastic marriage. But passion turns to jeopardy for them both as the Wars of the Roses wreak havoc on the realm. Loyal brother to a fragile king and his domineering queen, Marguerite of Anjou, Jasper must draw on all his guile and courage to preserve their throne – and the Tudor destiny. 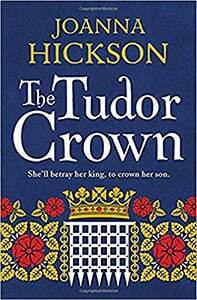 In fifteenth century England the Neville family rules the north with an iron fist. Ralph Neville, Earl of Westmorland, a giant of a man and a staunch Lancastrian, cunningly consolidates power by negotiating brilliant marriages for his children. The last betrothal he arranges before he dies is between his youngest daughter, nine-year-old Cicely, and his ward Richard, the thirteen-year-old Duke of York, England’s richest heir. 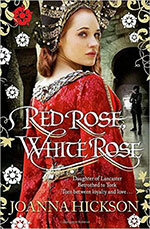 Told through the eyes of Cicely and her half-brother Cuthbert, Red Rose, White Rose is the story of one of the most powerful women in England during one of its most turbulent periods. Born of Lancaster and married to York, the willowy and wayward Cicely treads a hazardous path through love, loss and imprisonment and between the violent factions of Lancaster and York, as the Wars of the Roses tear England’s ruling families apart. When her own first child is tragically still-born, the young Mette is pressed into service as a wet-nurse at the court of the mad king, Charles VI of France. 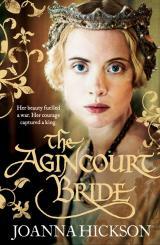 Her young charge is the princess, Catherine de Valois, caught up in the turbulence and chaos of life at court. Mette and the child forge a bond, one that transcends Mette’s lowly position. But as Catherine approaches womanhood, her unique position seals her fate as a pawn between two powerful dynasties. Her brother, The Dauphin, and the dark and sinister Duke of Burgundy will both use Catherine to further the cause of France. Catherine is powerless to stop them, but with the French defeat at the Battle of Agincourt, the tables turn and suddenly her currency has never been higher. But can Mette protect Catherine from forces at court who seek to harm her or will her loyalty to Catherine place her in even greater danger? King Henry V’s new French Queen, Catherine, dazzles the crowds in England, blithely unaware of court undercurrents building against her. Her loyal companion, Guillamette, suspects conspiracies against her queen. But her warnings are ignored, for Catherine believes herself invincible as she gives birth to an heir. Tragedy strikes when King Henry is struck down by fever back in France and Catherine rushes to his deathbed. A weak and weeping dowager queen follows the slow funeral cortège through France and the King’s Harper, Owen Tudor, plays to comfort her. Back in England, the regency council removes the new young king from her care, and a defeated Catherine retires to her dower estates, taking Owen with her as Steward. 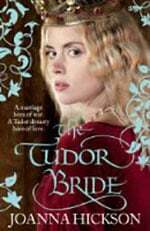 At the secluded manor of Hadham, a smouldering ember bursts into flame as Catherine and Owen Tudor become lovers. But their love cannot remain a secret forever, and when a grab for power is made by the Duke of Gloucester, Catherine – and those dearest to her – will once again face mortal danger…. 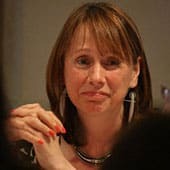 I represent writers and illustrators for children and young people, both fiction and non-fiction. My list is currently closed and will re-open later in the year. Please check back here for details and updates.